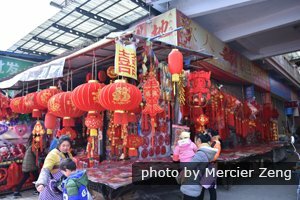 These articles introduce you to the top places to go in Beijing, and many fun activities you might not have even thought of. 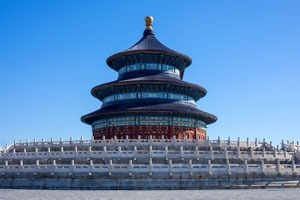 Get the best from your Beijing trip. 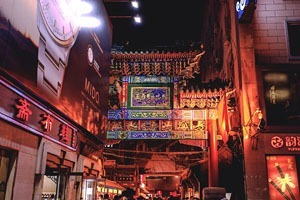 Our Beijing nightlife page contains our suggestions for helping travelers get the most out of an evening in Beijing, from shows to cityscapes to bars. Can you imagine having a FREE day in Beijing? Don&apos;t worry that you must spend large amounts of money there. Loads of attractions in Beijing are free. 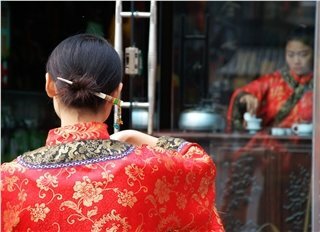 Of the cities in the orient, Tokyo is known for its tech, Seoul for its fashion, and Beijing for its history, culture, tradition, and… cool? 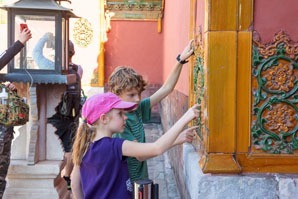 Want to visit Beijing with kids? 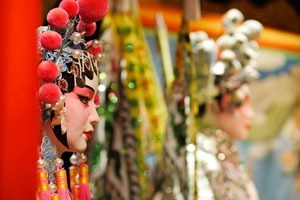 Check here to see our best recommended attractions and things to do for children in Beijing. 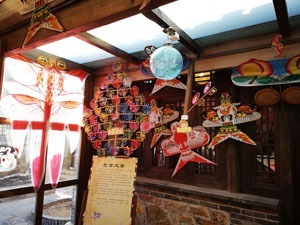 Go to the six most beautiful ancient villages around Beijing to enjoy both the natural landscape and the folk culture of these areas. 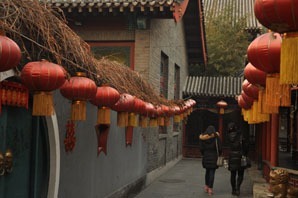 Explore Beijing’s hutongs via different-themed best hutong tours, including hutong cooking, food tours, family visits, walking tours, and hutong cycling. 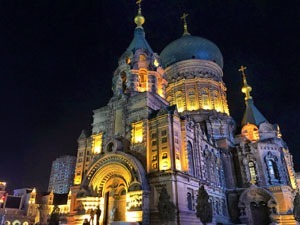 Beijing&apos;s various denominations welcome foreign tourists to some of the biggest church gatherings in mainland China. Most people would list the 798 and the capital museum as the best museums. But few people know the other good museums. Getting a massage or spa after a day tour is a good way for relaxing. 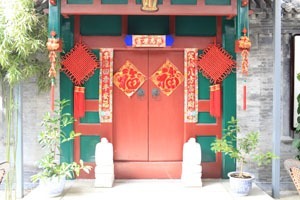 This page shows you recommended places for massage and spa in Beijing. 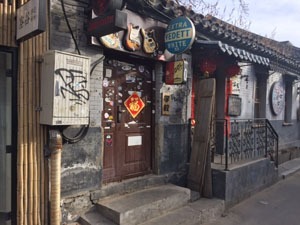 The pick of Beijing&apos;s popular low, mid, and high -price bars, including Cellar Door, The Local, and more recommendations for expats and travelers. 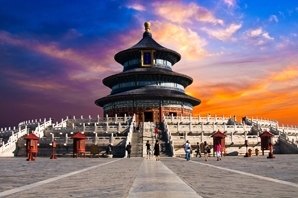 Beijing has the romance related sights, ideal for a honeymoon or anniversary, and also a fine selection of luxurious hotels. 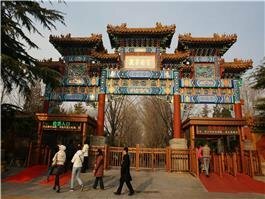 China Highlights has listed the best 10 parks requiring a low entry fee, so that you can make a selection based on your itinerary. 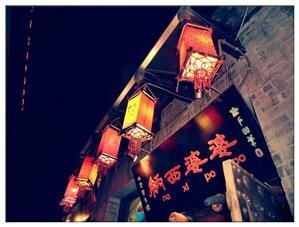 Four of the best places to buy tea in Beijing are Maliandao Tea Market, Yandai Street, Yashow Market, and Sanyuanli Market. 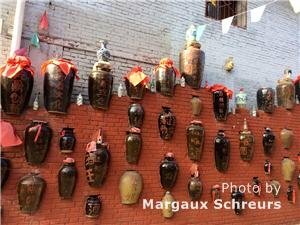 It is a list of a few of Beijing&apos;s offbeat (unusual and less-crowded) attractions worth seeing, including Atypical Art Areas and China Honey Bee Museum. 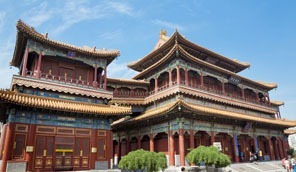 Beijing&apos;s best buddhist temples include the lama temple, Tanzhe Temple, Jietai Temple... Each temple is offered with location, introduction and photo. Exercise, great views, fresh air, the Great Wall, and more... 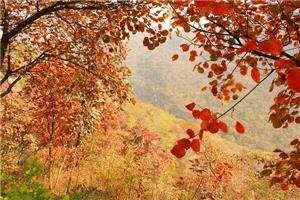 Here are 10 mountains around Beijing we recommend you hike. 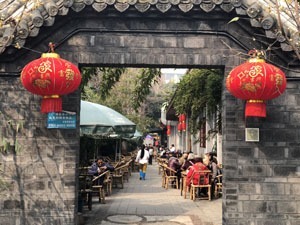 Several of the best Beijing siheyuan courtyards (traditional hutong residences with houses on four sides) once housed celebrities. 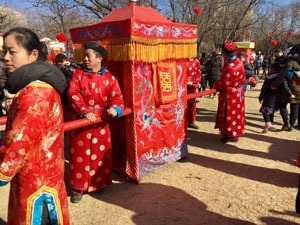 Beijing is the cultural center of China, so there are a wide variety of festivals in different categories held in Beijing every year. Discover the best here. 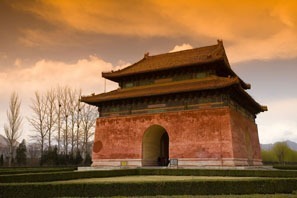 Follow us and explore the top 10 landmarks in Beijing: The Great Wall, the Forbidden City, the Temple of Heaven,... Discover with us the stories behind them. 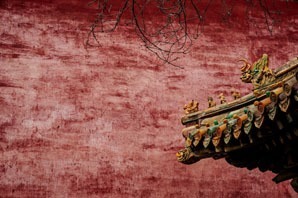 Travel guide to where to take the best photos on a summer&apos;s day in Beijing, including Lama Temple, Beihai Park, Jingshan Park, Jiankou and more places. 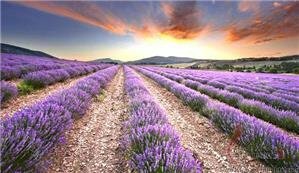 Do you like lavender? 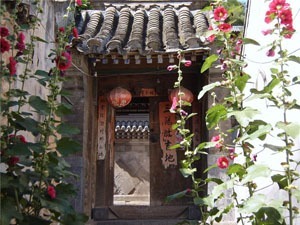 The company of its relaxing scent and color enhances a Beijing summer outing. Here are four of the best lavender gardens. 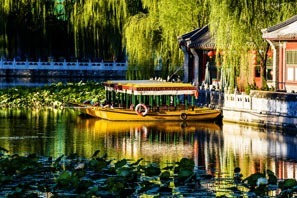 Here are eight great choices for boating in Beijing with travel details and enticing summaries. 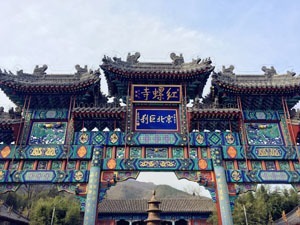 This article introduces some special things to do in Beijing&apos;s great outdoors, including climbing the Great Wall, going boating, and mountain hiking. 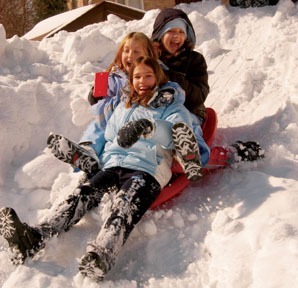 Did you know there’s enough sand around Beijing for sand sledging? Enjoy this fun activity and desert scenery at three locations. 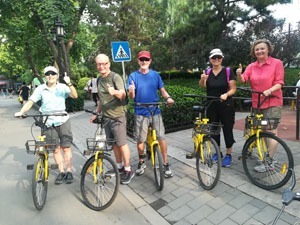 Explore Beijing’s beauty and history with the 10 best cycling routes: route details, travel tips, and highlight intros. 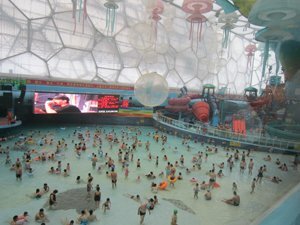 An introduction to six of Beijing&apos;s best water parks, including the Water Cube, man-made beaches, and other cheaper fun alternatives. 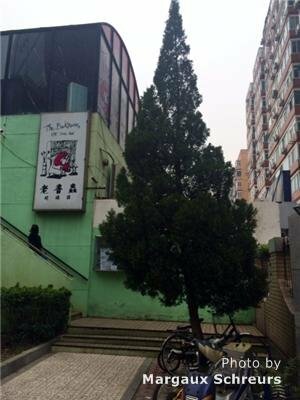 Beijing&apos;s teahouses are more than just atmospheric places to sup quality Chinese tea. These entertainment houses host acts galore. 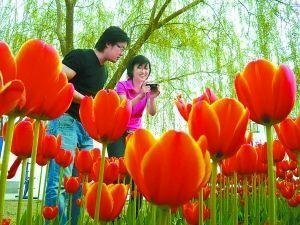 The capital of China has a lot of professionally tended gardens where you can see a variety of kinds of gardens, flowers, and flowering trees. 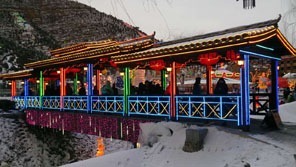 Did you know there are TEN+ ski resorts to choose from around Beijing?! 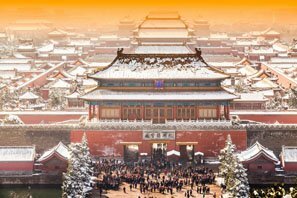 Most have world class facilities — a great way to enjoy a winter Beijing visit. An introduction to 10 of Beijing&apos;s weirdest and most unusual museums. 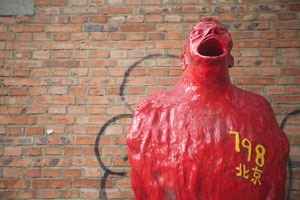 Beijing&apos;s best art galleries are world class. Read on for what&apos;s being exhibited where. 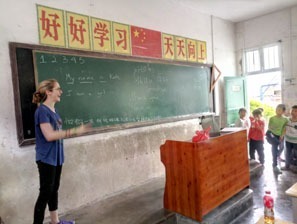 Find out about the 10 best universities in Beijing to learn Mandarin Chinese at: what courses are offered, their reputations, and outstanding features. 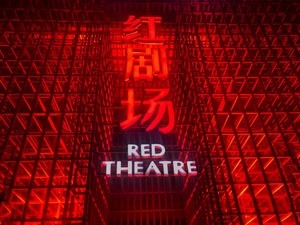 Whether it&apos;s acrobatics, dance, or Peking Opera you want to see, Beijing&apos;s top theaters will give you an evening to remember. 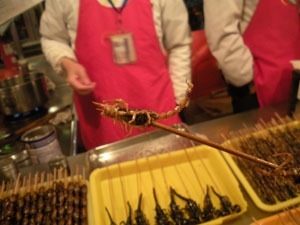 If you love fishing, why not see what you can fish from Beijing&apos;s waters? We introduce six of the top spots with how to get there info. 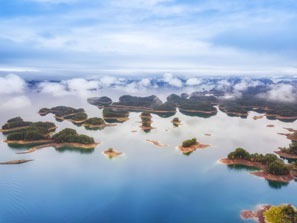 The top ten camping spots around Beijing give you a chance to escape the city and see some of Beijing’s best countryside. If you enjoy the thrill of bungee jumping, or want to give it a go, there are some great leaps, along with great scenery or rides. Beijing&apos;s English bookstores may be rare, but there are definitely some good options out there. Here are four of Beijing&apos;s best. The yellow ginkgo leaves shroud these ancient temples from late October to middle November — a gorgeous sight for photographers and travelers. 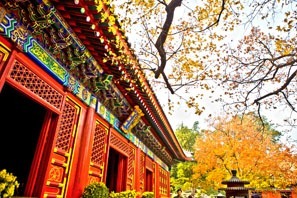 Eight great vistas present to you Beijing&apos;s autumnal hues — a feast for the eyes not-to-be-missed. Snowfalls sometimes hit Beijing, creating fascinating snowy landscapes. Here are the top places for you to enjoy them. 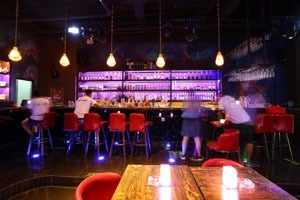 Looking for something COOL to do in Beijing’s sultry summer? 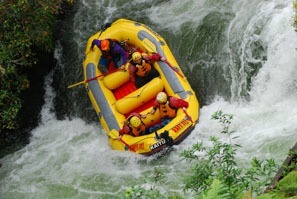 White water rafting is a fun and scenic way to get some fresh air and excitement.